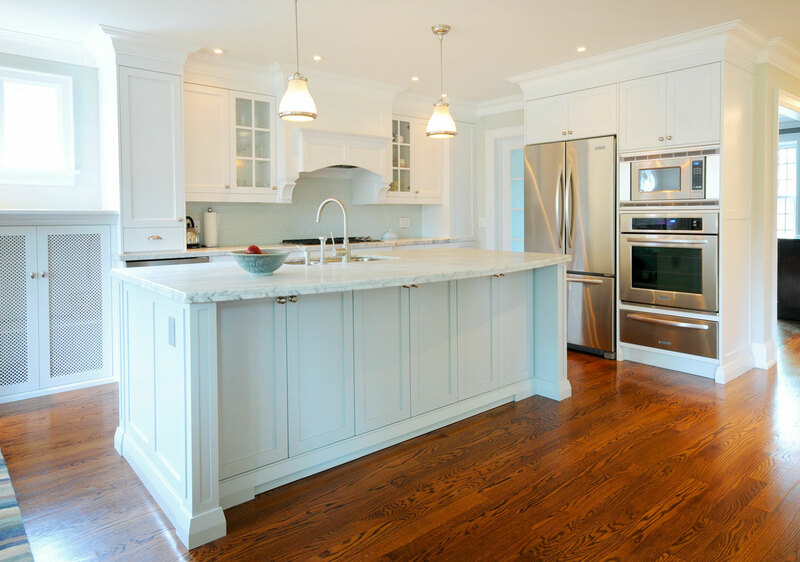 Clean and simple kitchen with a few details that give it the perfect touch. 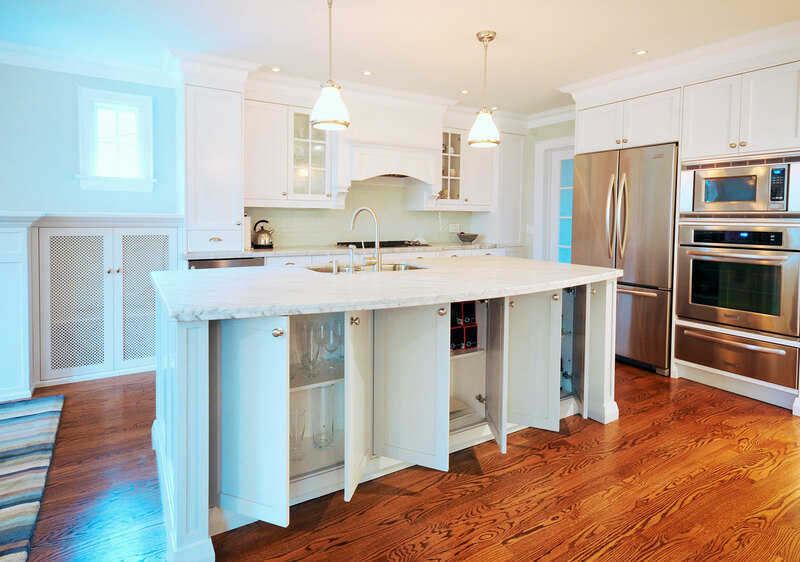 This kitchen has a custom made canopy decorated with corbels, a center island with plenty of storage and a nice curved shape counter top supported with two decorative posts. 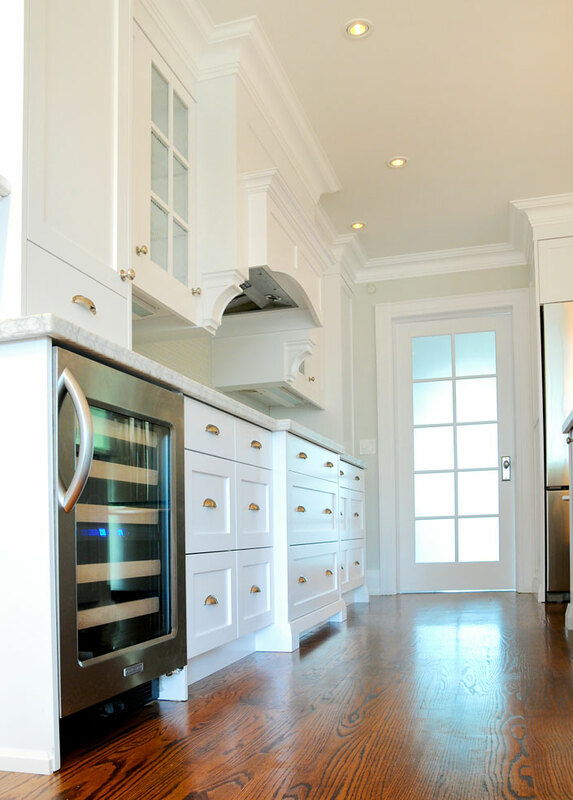 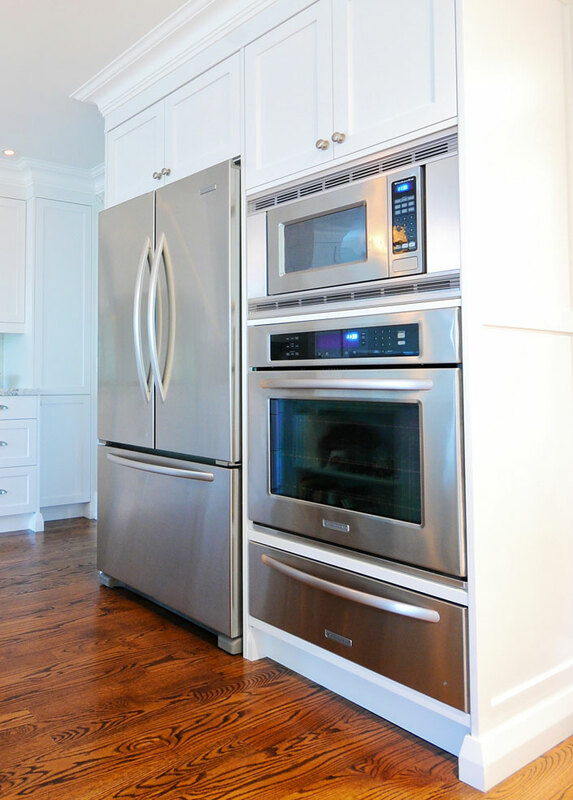 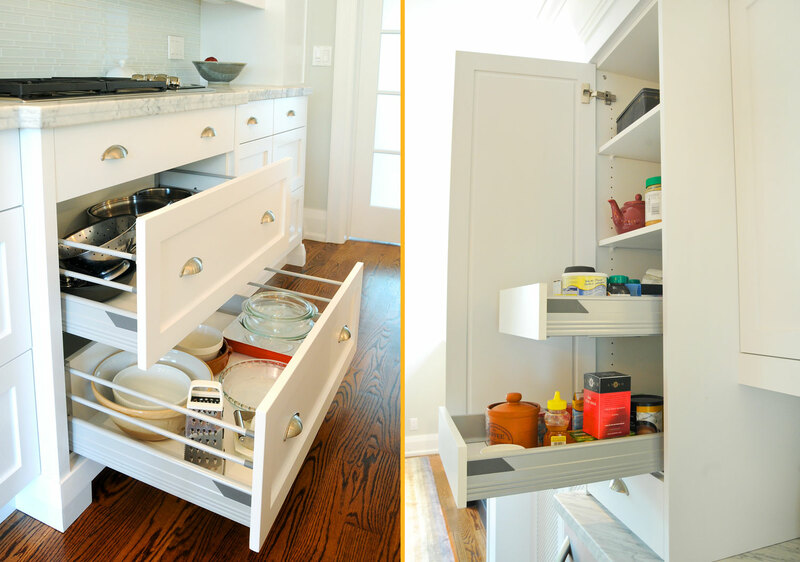 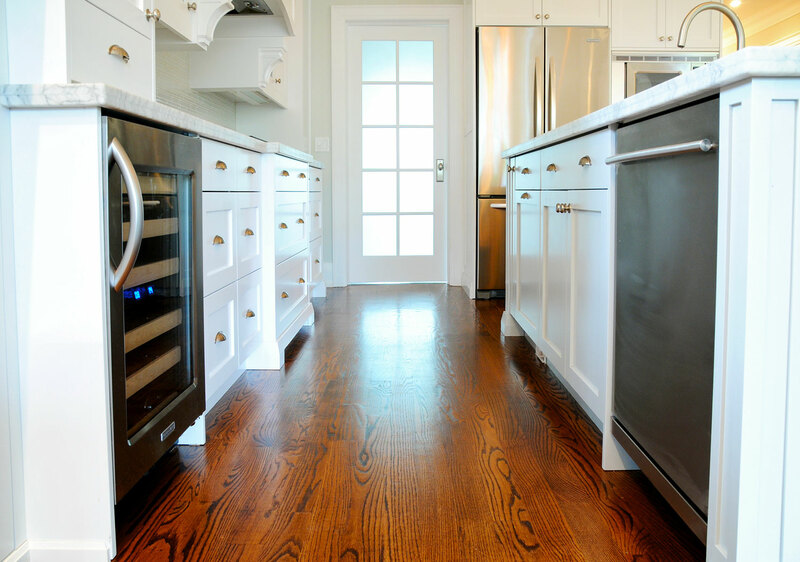 Lower cabinets have a combination of flat and shaker door styles. 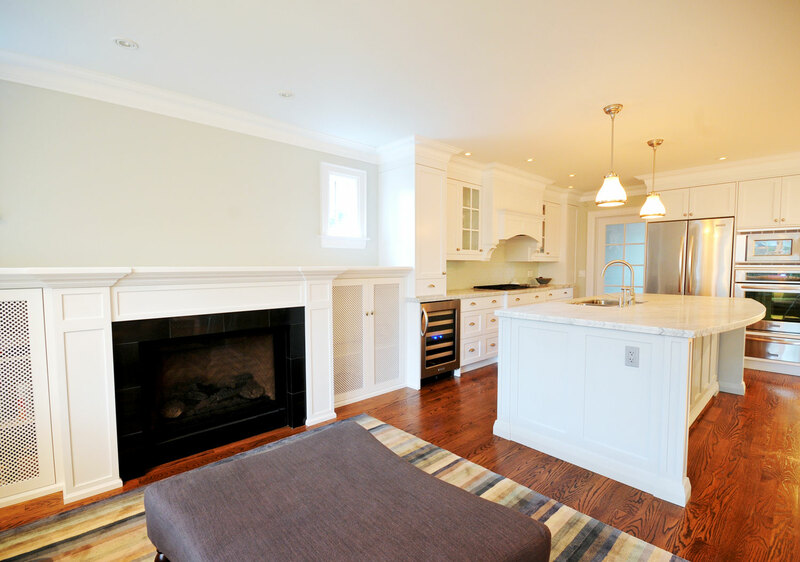 Alongside the kitchen there is a custom design fireplace with four beautiful mesh doors to store audio/visual equipment.